I like the vision of ecstatic giving, as some potlatches were rumored to have so many gifts, particularly folded and stacked blankets, that they actually would touch the ceilings of the longhouse. Potlatches were and continue to be part of the Coast Salish economy and a means for displaying social relationships in the community. In 1913, a potlatch was also a demonstration of civil disobedience, as potlatches were banned by the Canadian and U.S. governments between 1885 to the 1950s. Not only did the government disapprove of Indigenous people gathering: giving away one’s wealth was considered backwards and wasteful; it was in conflict of the European value of acquiring wealth to indicate personal success. 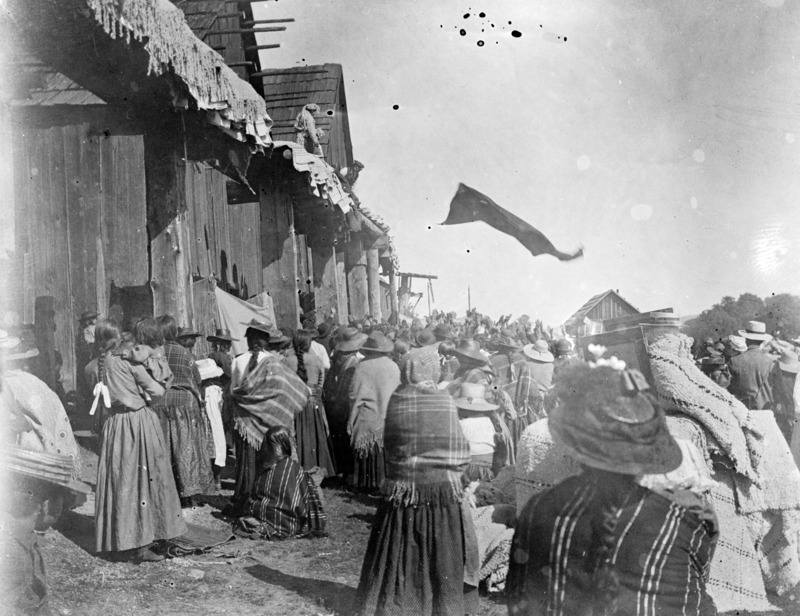 In the image below, a blanket is literally flying in the air as the host family casts gifts from a rooftop porch to the crowd below. I have come to think of blankets as transportation objects, both physically and metaphorically. When I look at this image and think of others looking at the image, we inadvertently join crowd and become witnesses to this ongoing tradition. In addition to Witness , I have created etchings and small embroidered sampler pieces that further reflect on this image.